Triple client capacity and throughput. Increase number of concurrent clients supported per access point while improving signal strength and reliability. Easily integrate a new WLAN with their existing content filtering system. Turns out the district’s investment in Ruckus not only supported their 1:1 student-to-mobile device initiative, it had a positive impact on underperforming students’ reading levels. 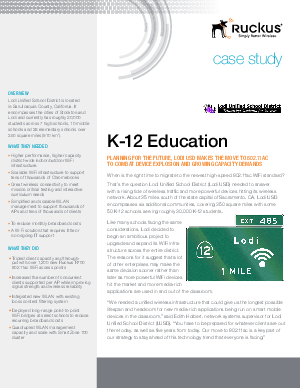 Read the case study and see for yourself.